After graduating from a 5-years doctorate program at the Canadian College of Naturopathic Medicine, there is a lot of information absorbed about what treatments work for which conditions or set of symptoms. I often find myself with 4 or 5 completely different protocols for the same patient, ranging anywhere from homeopathics, supplements, hydrotherapy, Traditional Chinese Medicine, diet and exercise, botanical medicine, and psychological counselling. For many patients who are new to Natuopathic Medicine, it may be an overwhelming experience to alter many aspects of their lifestyle, especially when they aren’t expecting it. I would compare Naturopathic Medicine to (the opposite of) a Pandora’s box (since it references to opening up all the evils of the World… although at times during the elimination diet my partner and I would have agreed). Once you open into the Natuopathic World, you realize a whole new way of living. It’s almost a new language with strange words like homeopathy and hypoallergenic thrown around constantly. You get very comfortable with talking about mood, libido, dreams, poo, and your menstrual cycle all within a few visits. It’s a way of seeing your life like never before. But more importantly, it’s a way of LIVING your life to it’s utmost potential. This all sounds fabulous, who wouldn’t want to feel and look better than before? But it does take a lot of hard work! And I mean it. There are certain protocols that are just not fun to start or do (ie. Elimination diet, tinctures, exercising, etc) but it’s a lifestyle. You get accustomed to it and you really see a difference between being “ON” and “OFF”. That in itself is often all the motivation one needs to keep with a Naturopathic lifestyle. So, I’m ready to put in the work, WHERE DO I START? 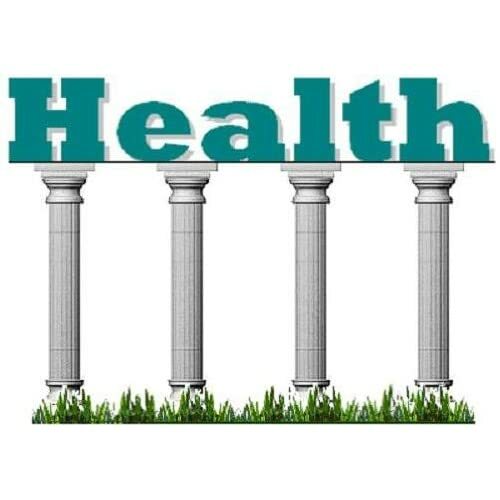 There are 4 main pillars that health is supported by. Each area has a large continuum of intensity and specificity depending on how much work a person has done in the past and what their goals are. These 4 pillars can always be further improved upon as one’s definition of idea health often evolves (that being said, they can also be abused and become negative addictions rather than optimizing support). Diet is important. Diet, however, does not mean the latest trend, fad, or weight loss program. One’s diet means fueling your body with the things that you enjoy to encourage optimal growth while reducing the things that are harmful. It is ironic that we often think of ‘treats’ as positive things when they are often not. Why would we want to treat ourselves with a delicious ice cream cone when we know that it will cause bloating, gas and diarrhea later on? That does NOT sound like a very nice ‘treat’. So why do we indulge in things that harm us? Reasons can range from indulging in immediate satisfaction (like the sugary taste), the comfort of a happy memory/ feeling, the filling of a suppressed desire, or a psychological reward. So how do we refrain from giving in to our cravings. Well, we don’t. If you suppress a craving, it will only amplify more until the point where you get distracted by something else (but it will come back later on), or until you ‘break down’ and over-indulge. Moderation is key as well as replacing that desire with something that supports our health and is fully satisfying. It doesn’t matter what you love to do- go and do it. And do it in the moment that you have the urge. If you are stuck in your office and need to dance, get up, go to the hallway/ lobby/ washroom/ outside/ or lock your office door and MOVE! Love your body and be good to it. It will thank you in return. Building a scheduled ‘gym time’ and fitness class with a friend is great, but we are all busy people who don’t always follow our schedules, so utilize the energy and momentum of motivation to GET MOVING! Small daily changes can add up: taking the stairs, parking farther away, taking public transit rather than driving, biking to work/ school, go out dancing. There are only a handful of habits that I would classify as “bad”- smoking cigarettes and drinking soda are 2 examples. The rest are either neutral or even healthy in moderation. Every habit is “bad” when abused to their extremes. Note that having a “bad habit” is not the same as “being bad”. Just because you enjoy a bad habit does not make you a bad person. It is important to differentiate our habits, jobs, lifestyle and even diseases from ourselves. The things in our lives are just those… Things. We are not our things and we can change those things without changing ourselves. Do the things that bring you joy and support your health. Whether it is meditation, sleep, your favorite hobbies, playing sports, getting outside, listening to music, relaxing, or spending time with friends and loved ones, be compassionate with yourself. Being mindful to give your body what it needs requires you to be in touch with your body. Ask yourself periodically what it needs- to use the washroom, get a drink of water, close your eyes, get some fresh air.